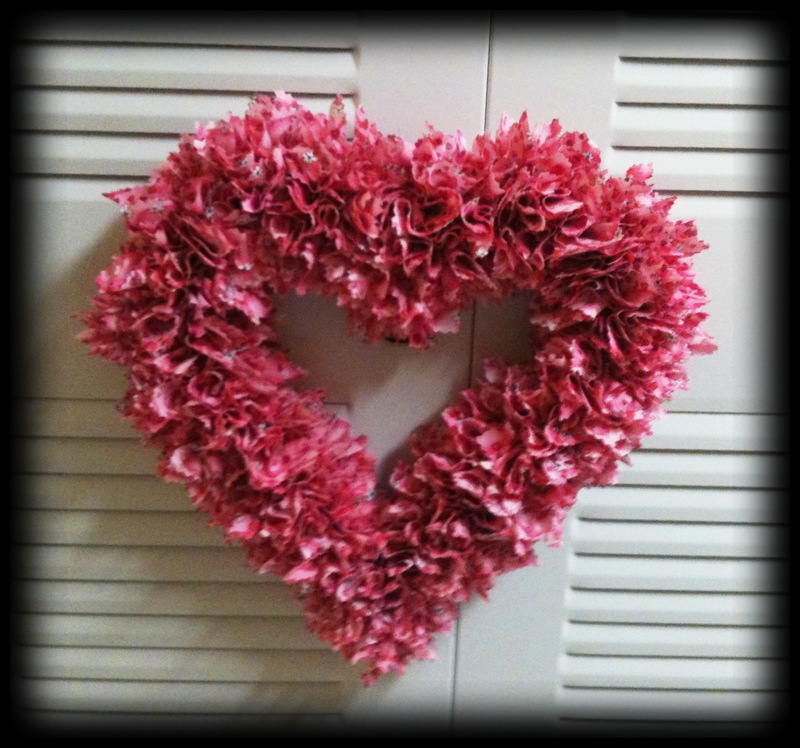 The Friday Five: 5 steps to a no-sew wreath | Sew Lindsay, Sew! This week’s Friday Five is both a list AND a tutorial wrapped up into one post! Wahoo! When I was little, I remember my beloved Aunt Corlyne (who was always bursting with enthusiasm about the latest and greatest craft trends) bringing over bags of supplies to make these easy fabric wreaths. This no-sew craft gives everybody an excuse to shop in the fabric aisle, regardless of whether they know how to sew or not. It is a fun project for kids who are old enough to be trusted with a pointy pencil, although grown-ups may have to take care of the pinking shears portion. A pointy object such as a screwdriver, skewer, pencil, etc. 2. 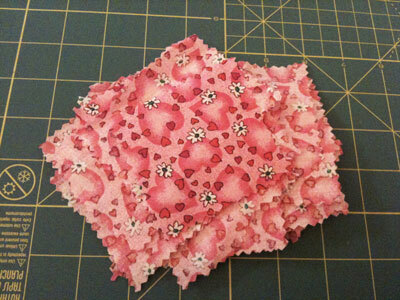 Cut: Use the pinking shears to cut out a pile of fabric squares. The exact size doesn’t matter and the shape can be rough, but the size should be approximately 3×3 inches. 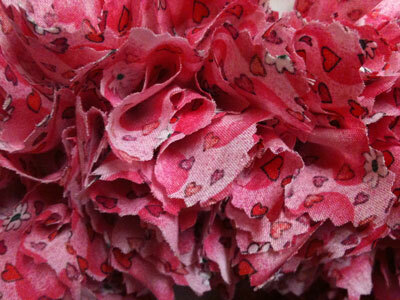 I used a bunch of Valentine fabric leftover from a quilt my mom made me in college! 3. Stab: Wrap a fabric square around the pointy object, then stab the whole contraption anywhere on the styrofoam wreath. 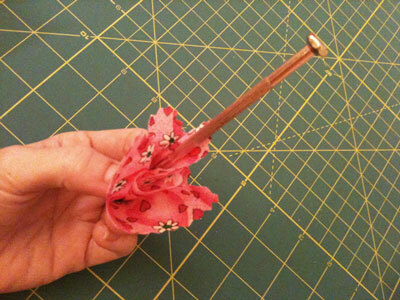 When you pull the pointy object out, the fabric should stay wedged in the styrofoam. Wrap the fabric around the object right-side-up. 4. Fill: Continue with step #3, filling in the entire front side of the wreath. You’ll probably find yourself having to revert back to step #2 and cut out more squares as the project progresses. It only took me one viewing of Eat, Pray, Love and one episode of How I Met Your Mother to complete my heart wreath from start to finish! Keep going until the entire wreath looks like this! 5. Hang: Now that your wreath is complete, hang it from a nail or use thumbtacks to secure a ribbon on the back! This is super cute! I might have to attempt one of my own! this is so cool! thanks for posting this! !